Foreign Object in the Ear is the presence of a foreign body object in an individual's external ear canal. What are the Causes of Foreign Object in the Ear? What are the Signs and Symptoms of Foreign Object in the Ear? How is First Aid administered for Foreign Object in the Ear? 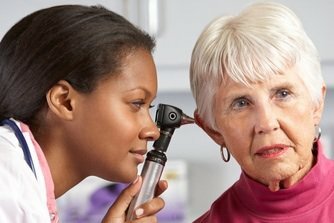 Who should administer First Aid for Foreign Object in the Ear? Anyone in close proximity of the affected individual can provide First Aid, if the foreign body is visible. You must seek medical attention, if you are unable to visually sight the foreign body; or if there is pain, bleeding, hearing impairment; or if you are unsure of the type of object. What is the Prognosis of Foreign Object in the Ear? The prognosis for Foreign Object in the Ear is usually good. How can Foreign Object in the Ear be Prevented? Do not let children play unsupervised; especially with small toys, seeds, beads, etc. Bressler, K., & Shelton, C. (1993). Ear foreign‐body removal: A review of 98 consecutive cases. The Laryngoscope, 103(4), 367-370. Balbani, A. P., Sanchez, T. G., Butugan, O., Kii, M. A., Angélico, F. V., Ikino, C. M., & D'Antonio, W. E. (1998). Ear and nose foreign body removal in children. International journal of pediatric otorhinolaryngology, 46(1), 37-42. DiMuzio Jr, J., & Deschler, D. G. (2002). Emergency department management of foreign bodies of the external ear canal in children. Otology & neurotology, 23(4), 473-475. Das, S. K. (1984). Aetiological evaluation of foreign bodies in the ear and nose. The Journal of laryngology and otology, 98(10), 989-991. Kadish, H. (2005). Ear and Nose Foreign Bodies: “It is all about the tools”. Clinical pediatrics, 44(8), 665-670. Capo, J. M., & Lucente, F. E. (1986). Alkaline battery foreign bodies of the ear and nose. Archives of Otolaryngology–Head & Neck Surgery, 112(5), 562-563. Hunter, T. B., & Taljanovic, M. S. (2003). Foreign bodies. Radiographics, 23(3), 731-757. Davies, P. H., & Benger, J. R. (2000). Foreign bodies in the nose and ear: a review of techniques for removal in the emergency department. Emergency Medicine Journal, 17(2), 91-94. Endican, S., Garap, J. P., & Dubey, S. P. (2006). Ear, nose and throat foreign bodies in Melanesian children: an analysis of 1037 cases. International journal of pediatric otorhinolaryngology, 70(9), 1539-1545.